Pat dry the tofu using paper towels, cut into 3 cm cubes. Combine the spices, toss the tofu cubes in the spice mix. Thread the tofu and all of the vegetables alternately onto the skewers. Place the skewers next to each other in a wide roasting tin lined with baking paper. Roast for approx. 20 mins. in the centre of an oven preheated to 200°C. Turn the skewers half way through. 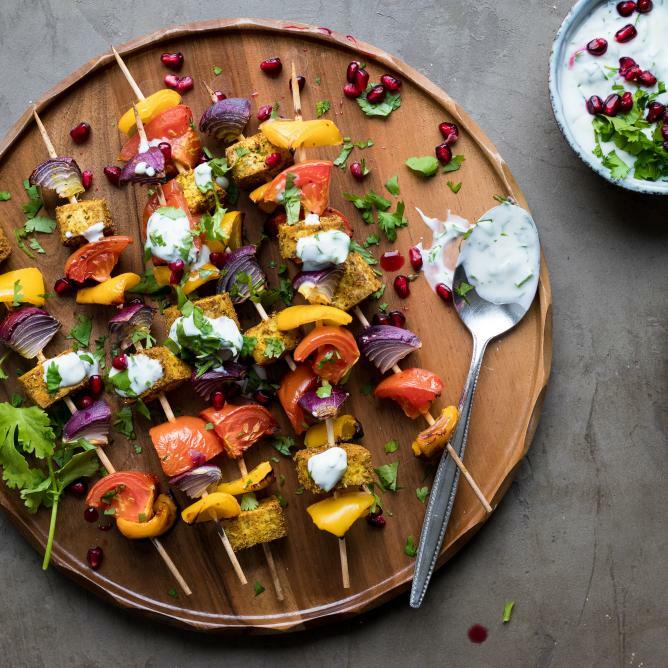 Combine the yoghurt, herbs and lemon juice, serve with the tofu skewers.